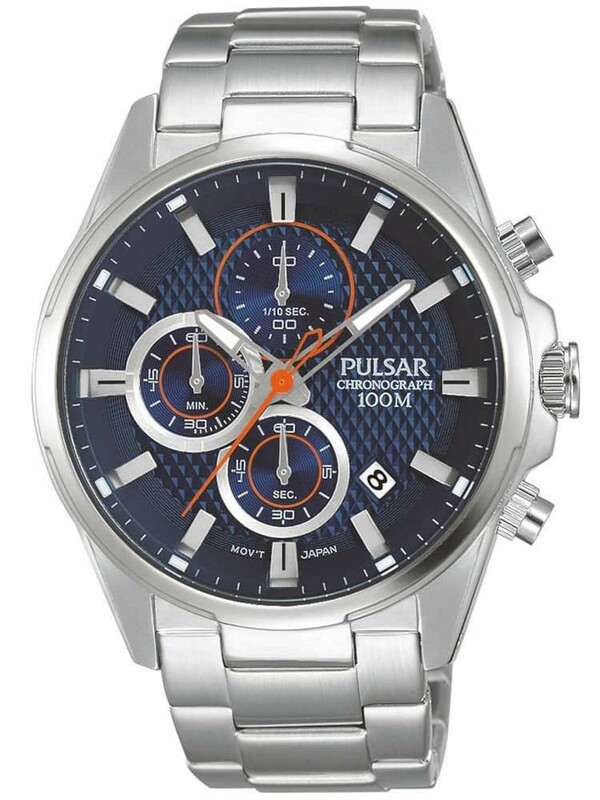 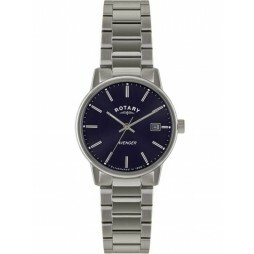 A handsome contemporary chronograph bracelet watch from Pulsar, encompassing quality and practicality at a great price. 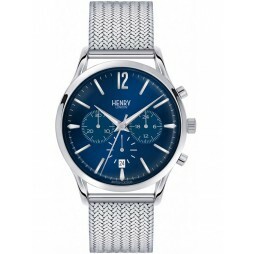 Crafted from polished stainless steel housing an attractive textured blue dial, it features chunky baton hour markers, luminescent hands, chronograph sub-dials and a date window for extra functionality. 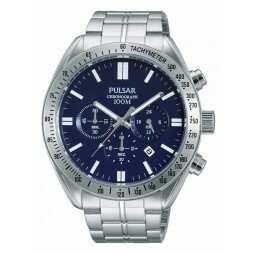 Complete with a push button deployment clasp for a secure fit, buy with confidence.